We are the area’s cremation experts. Our family has served Greater Central Texas Area families with cremation needs since 1989. We are also the first in the area to bring you this online experience and are committed to the standards of excellence as set forth by our family owned funeral home. WacoCremation.com is staffed by licensed funeral directors who stand ready to assist you. We also have a Certified Crematory Operator on our staff. Some families that choose cremation express a need for a process that allows the arrangements to be completed at their own pace all in the comfort of their own home all from our innovative website. We understand the needs of the cremation consumer. Also, we have arranged cremation services for our own family members. This is important. We understand your request for a simple, fair, low cost, and dignified cremation service. Don’t be fooled by other internet providers… they lead you to believe they are located just down the street, but they office elsewhere- in the big cities or may be even located in other states. But they proclaim a local service. Also, watch out for the hidden charges! 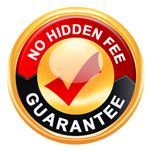 At WacoCremation.com, we offer a “No Hidden Fee Guarantee” and it’s easy to see exactly who we are.